Although Dubai has only grown and developed since the 1970s, this city in the desert has a wealth of interesting things to see and do. The fabulous climate (sometimes a little warm hot so the air conditioning is welcome!) ensures this is a year-round destination to visit with plenty to do for everyone. 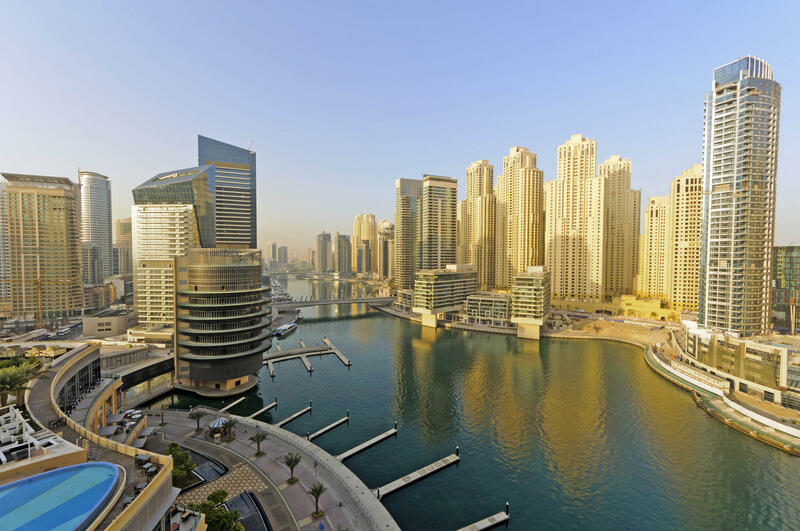 Here’s a list of our favourite attractions, which our staff will be only too pleased to tell you more about or make further suggestions for your stay in Dubai. A bustling group of market stalls selling an array of intoxicatingly-scented spices. Renowned for its state-of-the art architecture, the opera house hosts a wide programme of music, theatre, ballet and family shows. No visit to Dubai is complete without a visit to the iconic Palm Jumeirah, a man-made construction of accommodation, shops and restaurants shaped in a unique palm design, which is visible from space. The tallest building in the world, boasting 160 storeys. For a breath-taking view of the city a ride in the high-speed elevator will take you right to the top. A waterside stroll through Marina Walk, with its restaurants, cafes and shops, offers visitors the chance to enjoy city life away from the traffic. A favourite for the kids and young at heart, with its choice of rides and largest wave pool in the Middle East Wild Wadi is a fun day out for all the family. This is a true shoppers’ paradise with over 1,000 shops, the Mall is the largest shopping centre in the world. This incredible site is not to be missed – 22,000 gallons of water a day are propelled 500 feet into the air, culminating in a spectacular water show that takes place both day and night. The Two Seasons offers free shuttles to and from the main attractions of the city, so you never need worry about walking in the heat. We can also arrange taxis and limousines to your destination.